In this economy and time period, every parent shares a mutual fear. You think to yourself, “What if my son or daughter isn’t financially stable in their lifetime?” You may be nervous that your child will not be able to pay off college loans or purchase a home when they are older. You might also be worried that your child will struggle to meet car payments, or that they won’t be able to save up money in case of emergencies or for when they grow older. Read the tips below to learn how you can relieve your fears and help prepare your children for their financial future. Teach financial responsibility. It’s natural to fear that your children will take on too much debt or be unprepared for financial emergencies when they reach adulthood. But you don’t have to wait until they make a mistake to prepare them to be financially responsible. It’s important to remember that it’s never too early to start talking to kids about money and saving. 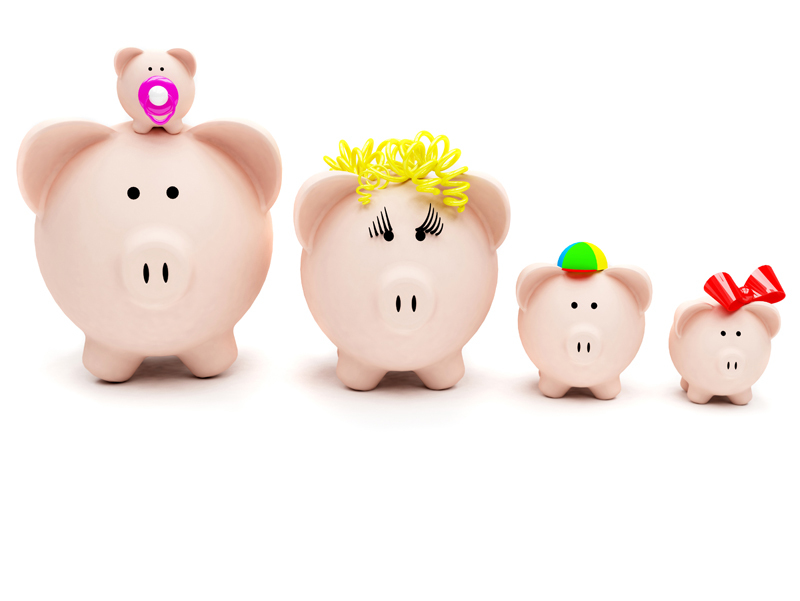 When your kids are young, you’ll want to start with simple conversations about money (sharing tips about your purchase decisions with them when you shop), and as they get older introducing more complex money matters (such as the value of having an emergency fund and saving for unexpected events). Use an allowance as an educational tool. An allowance is an ideal way to teach about responsible spending and saving. Provide your children with the opportunity to save and spend their allowance as they please (with some guidance). This flexibility will allow them to learn early on that spending money as fast as they earn it can have consequences. Depending on the age and maturity of your child, you may choose to share with them a financial mistake you made in the past and how you recovered from it. Plan for college. As college tuition increases, many parents worry about how their children will afford to attend, or how you as a parent can possibly save enough to pay for your child’s college education. As parents, consider beginning to save into a 529 Plan early in your child’s life. When it comes time to make college decisions, help your child evaluate the tuition and other college expenses (travel home, club dues, entertainment costs, etc.) for each college he or she is considering. Make sure to educate yourself on current student loan lending practices and options and help your child determine a realistic amount of student loan debt he or she can take on if necessary. Prepare for life’s big purchases. Even for young adults with a responsible mindset, a lack of financial knowledge can be detrimental for large purchases like a car or home. As a parent, you can offset this concern by being open to discuss these things as your child grows older and begins managing their own money. Reframe your money mindset. Changing the way you think about money can go a long way to alleviating your financial fears for your children and, at the same time, help your children learn to make smart financial decisions. The real question you should ask isn’t, “Can we afford this?” but rather, “Do we need this, and if so, is this the best deal we can get on it, and should we wait and buy it when we have saved the money for it?” These may seem like small differences, but they aren’t. How our children think about money will make a huge difference in their ability to wisely manage it and consequentially will have a huge impact on their quality of life. Visit First Financial’s website resources tab to view a list of free financial calculators and resources that you and your children can utilize to help save for college and future big ticket purchases like a car, home, and how to save money. Join us on Thursday, August 7th, for First Financial’s free seminar on this very subject – teaching your children about finances. The seminar will be held at the credit union’s Wall Office on Route 34 at 6pm. Space is limited so we recommend that you register beforehand. This entry was posted in Financial Literacy and Finances for Children and Teens and tagged Children and finances, First Financial, First Financial Federal Credit Union, Monmouth County, Ocean County by VP of Marketing and Business Development Jessica. Bookmark the permalink.